I would love to post a lovely picture of Abby with one of the kitties this week, but we’re still at the “hiss-and-run” phase of their relationship. I have a funny feeling that Luna resents Abby for one primary reason: the water bowl. 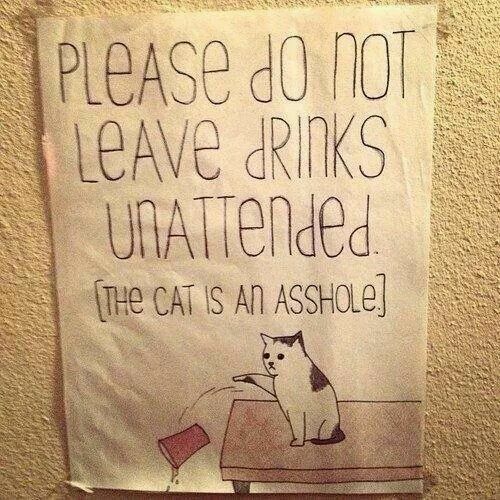 As a lot of kitty owners know, kitties are picky and love drinking running water. Whether it’s the faucet or the shower or a fountain, it has to be fresh, clean, running water. Luna is no different, so for the majority of her life she’s had a ceramic water fountain WITH a filter (because she’s spoiled).